[There is] evidence showing that Planned Parenthood doctors and affiliates did indeed break federal law. (Alexandra Desanctis – National Review) A ruling issued tonight by the Fifth Circuit Court of Appeals has torpedoed several of the abortion-rights movement’s key talking points in defense of Planned Parenthood. The state based its decision to remove Planned Parenthood from the list of eligible Medicaid providers in large part on a series of undercover videos released in the summer of 2015 showing footage of Planned Parenthood executives and doctors admitting to illegally profiting from the sale of the fetal tissue of aborted babies. 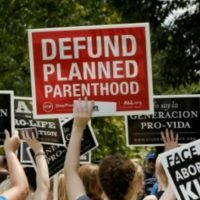 At the time the videos were released, Planned Parenthood and it[s many defenders in the pro-choice movement repeated ad nauseam that the videos had been “heavily [and] deceptively edited.” This same line was often parroted uncritically by media outlets in their coverage of the videos.